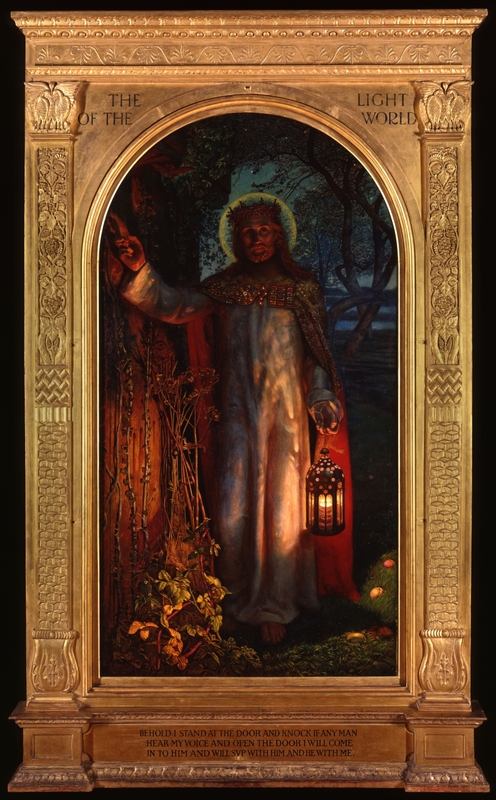 William Holman-Hunt’s painting, The Light of the World (about 1900-1904), is the world’s most traveled piece of artwork and is often referred to as a “sermon in a painting.” At the bottom of the piece is a verse from our passage this week. As you prepare your heart for worship, take some time looking at this symbolically rich piece. Notice the many visual metaphors that are found across scripture. Prayerfully allow the various elements of this painting to help you consider where Jesus is standing in your own life right now. More information about this painting can be found here.